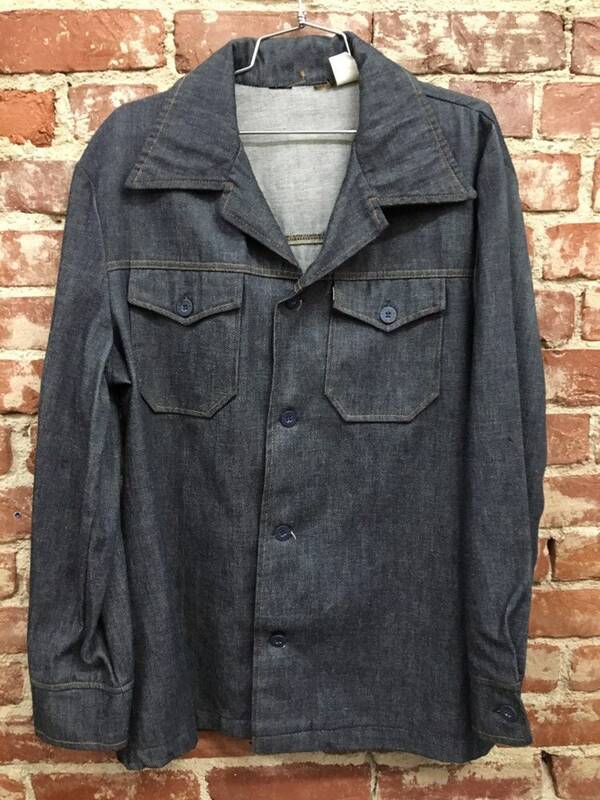 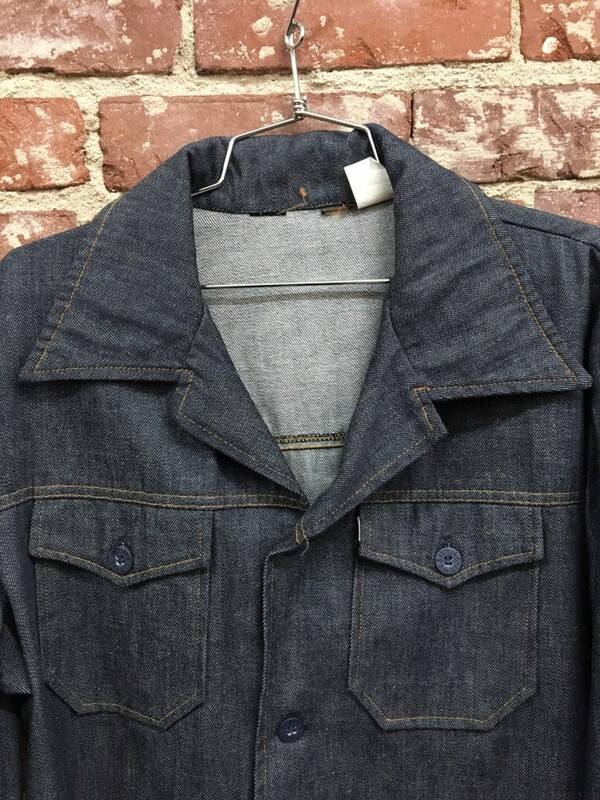 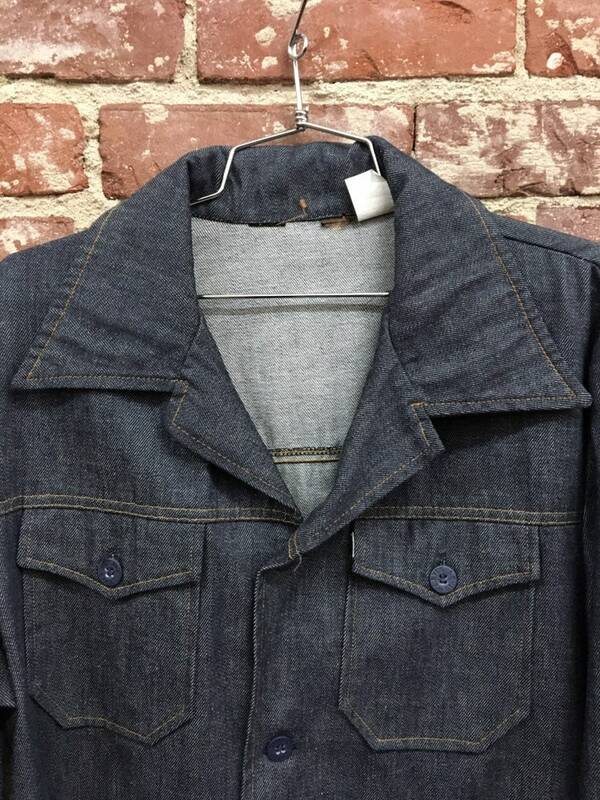 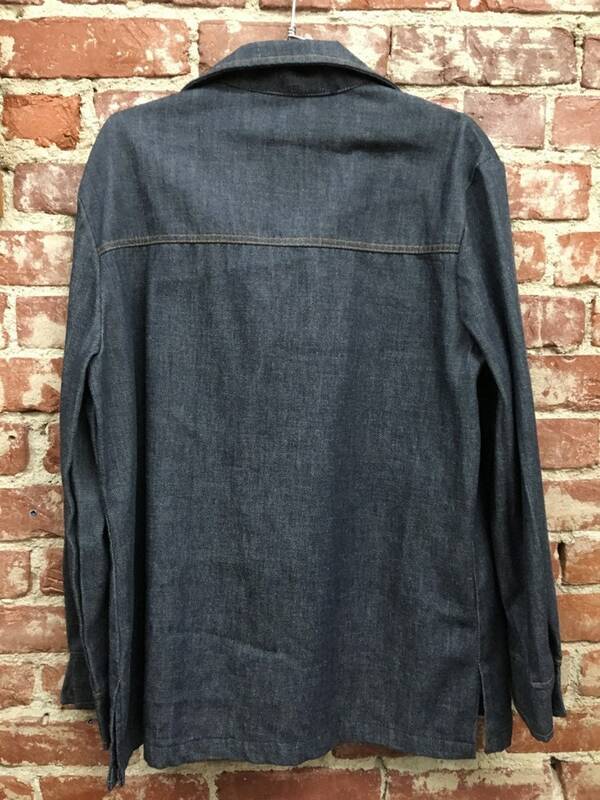 Beautiful men’s seventies Sta Prest denim Levi’s shirt cut jacket. 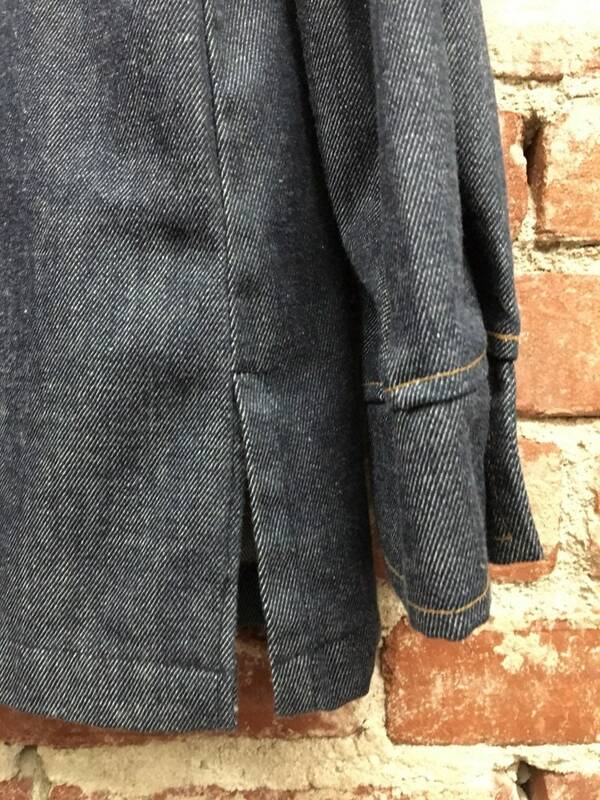 The cut is fantastic and the jacket is perfect. 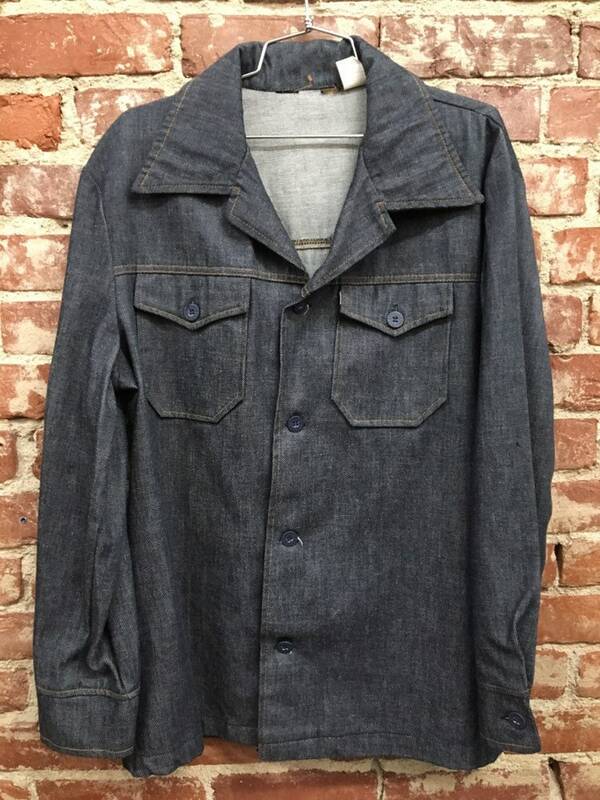 The label is cut out of the jacket but the buttons say Levi’s and there is no mistaking a ‘70’s Levi’s piece. 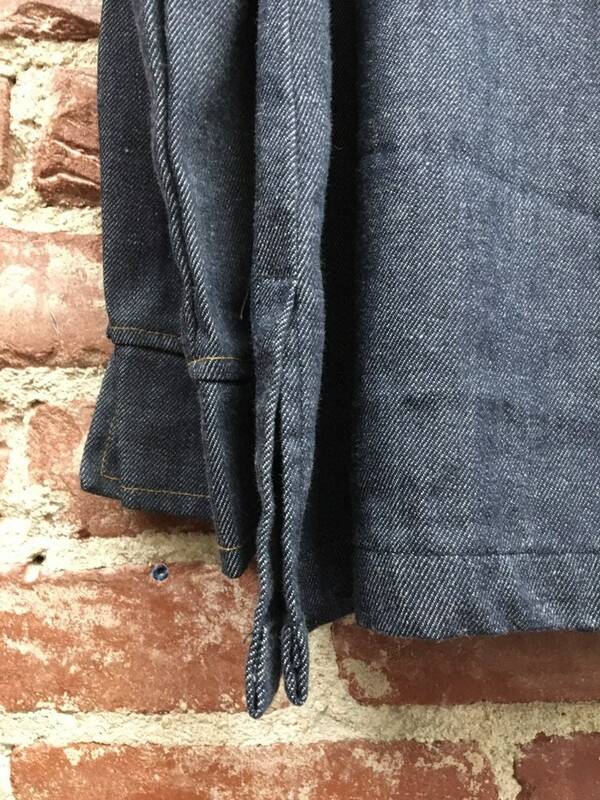 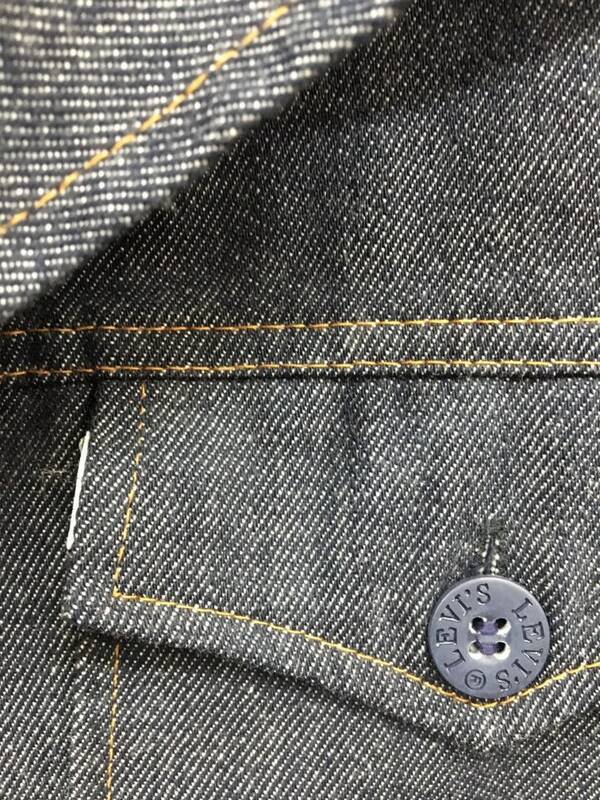 Sta Prest denim was invented by Levi’s in the ‘70’s to keep color, shape, and no ironing. 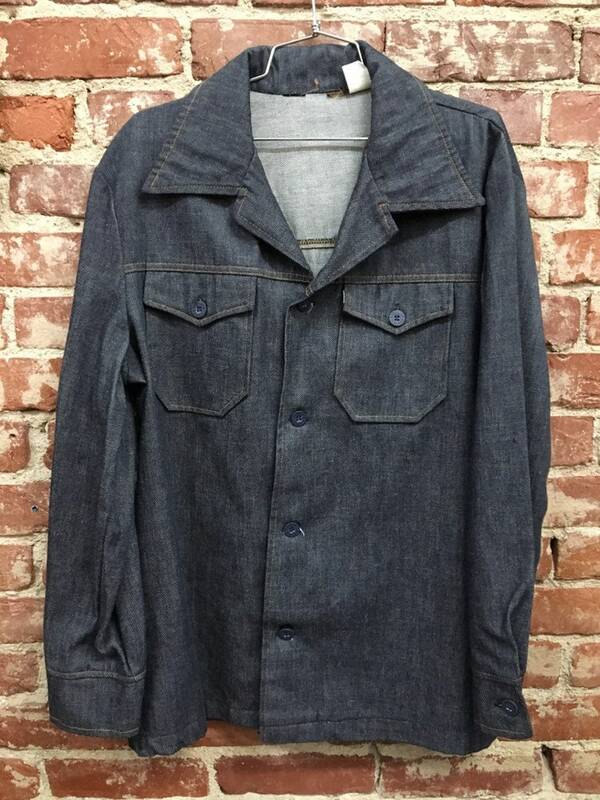 This jacket is a cotton Dacron/polyester blend. 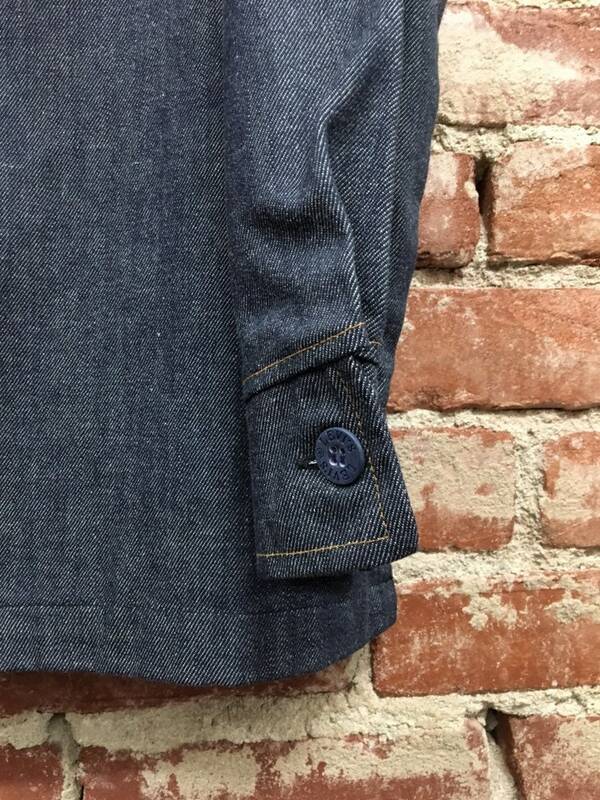 This blend looks and feels like cotton denim.